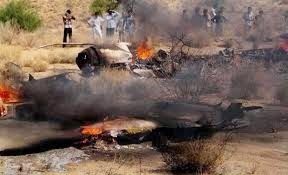 One MiG-21 (Bis) Aircraft of the IAF crashed about 10 Kms short of Awantipur Airbase on 27 May 2014 at about 1048 hrs. The Pilot airborne from Srinagar was on a routine training sortie. A Court of Inquiry has been ordered to investigate into the cause of the accident.